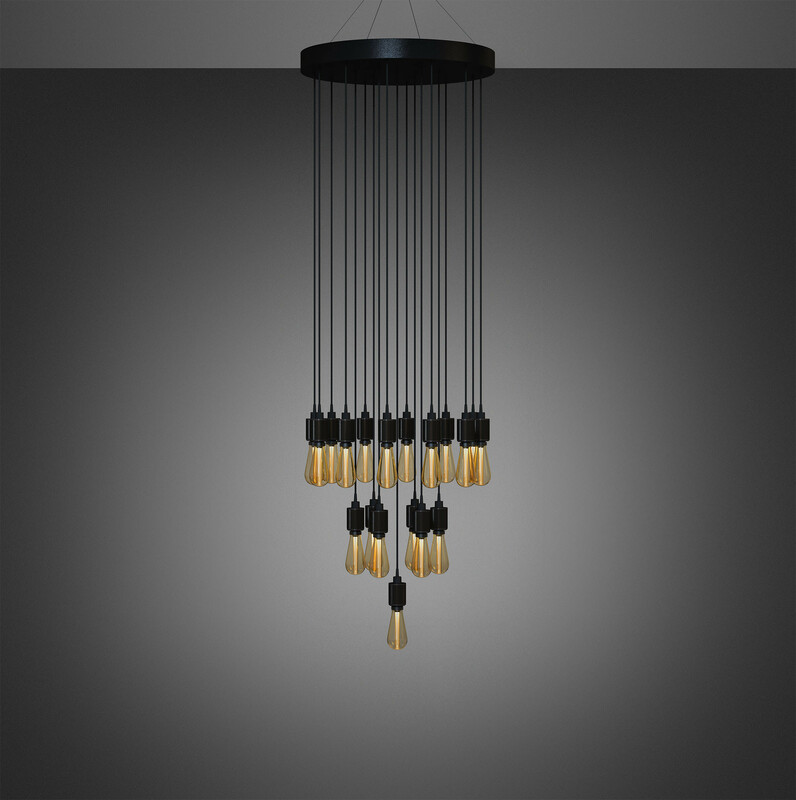 A bespoke CLASSIC chandelier with either 19 or 31 light pendants made from solid metal. Built custom to fit your space perfectly. All lights are made on a bespoke basis. 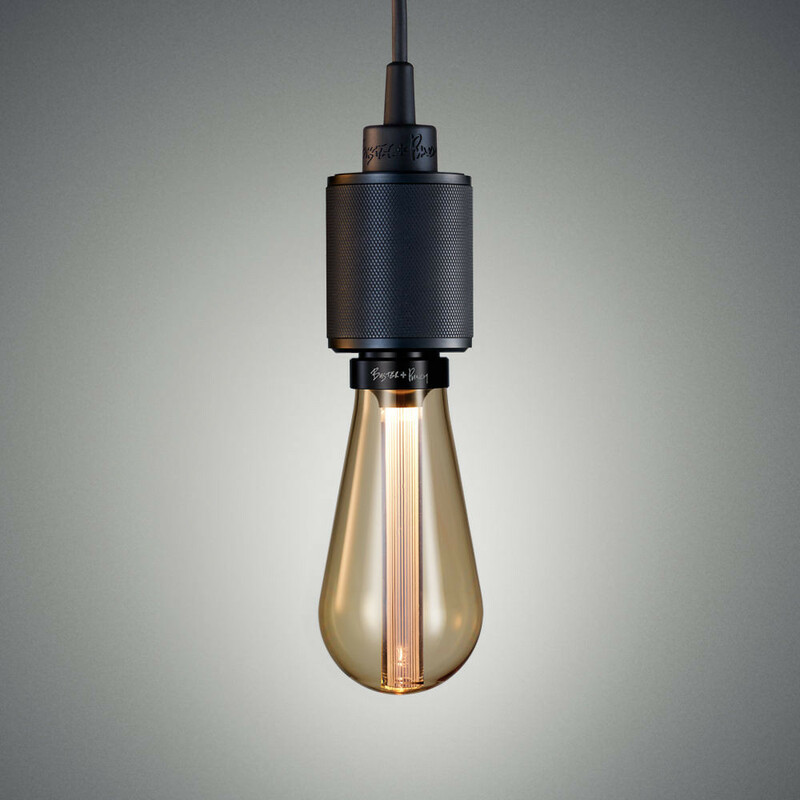 To register your interest please telephone (+44 (0)20 7407 0888) or email orders@busterandpunch.com. Due to high demand lead times are currently running at approximately 12 weeks. Price displayed does not include bulbs. 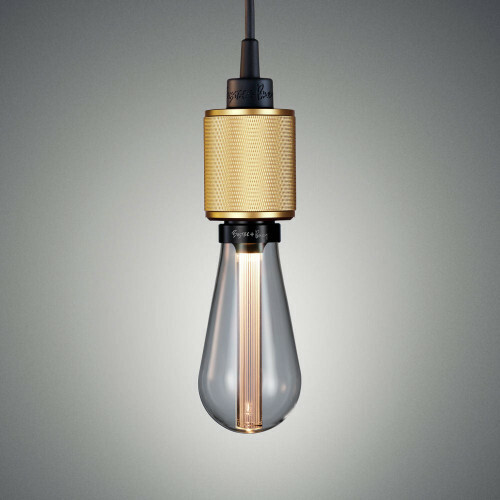 Featuring our HEAVY METAL solid metal pendants available in SMOKED BRONZE / STEEL / BRASS / BLACK, the light is teamed with LED BUSTER bulbs available in GOLD / SMOKED / CRYSTAL finishes. 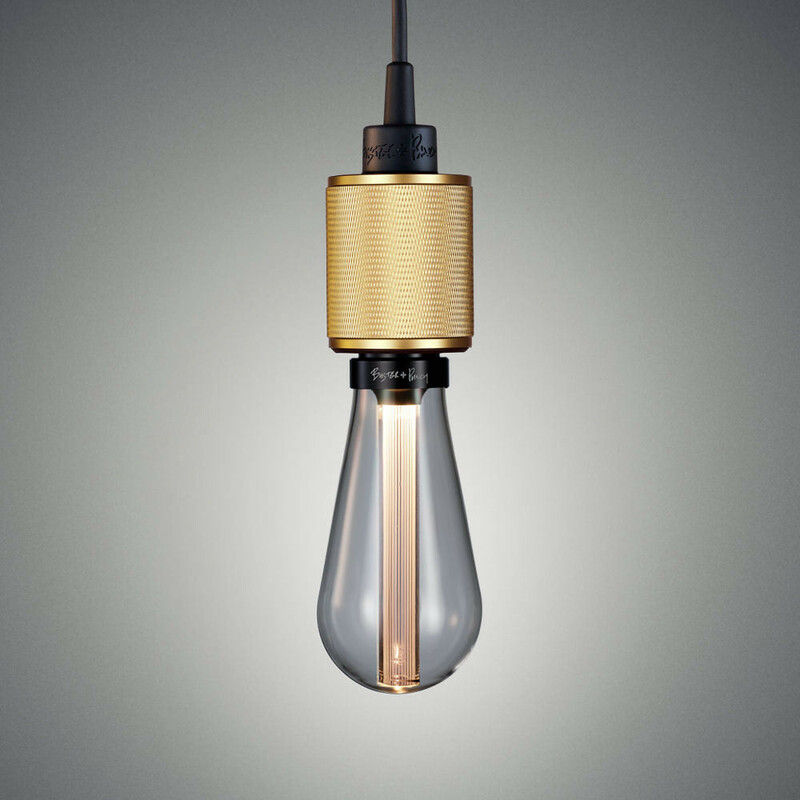 All lights are made on a bespoke basis, please allow at least 12 weeks. 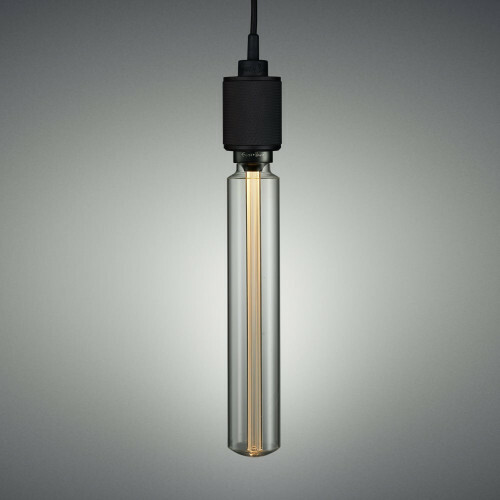 Dimension B: Distance between top pendant head and base pendant head. 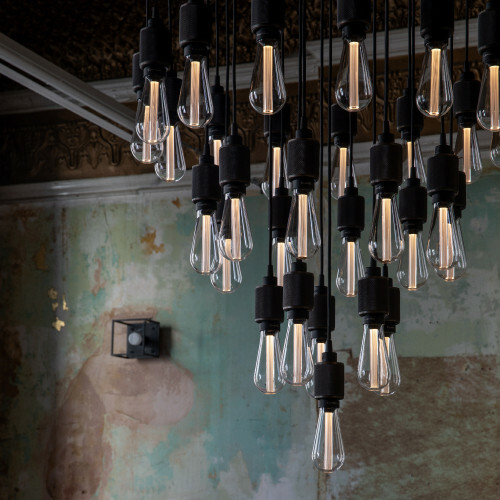 - THE BESPOKE HEAVY METAL CHANDELIER COLLECTION BY BUSTER + PUNCH IS NOT CE CERTIFIED AS EACH LIGHT IS MADE TO ORDER, EACH PURCHASE IS MADE UNDER THE CUSTOMER'S OWN RISK. - PLEASE ENSURE YOUR CEILING CAN SUPPORT THE WEIGHT REQUIREMENTS FOR THE CHANDELIER OPTION YOU HAVE CHOSEN. 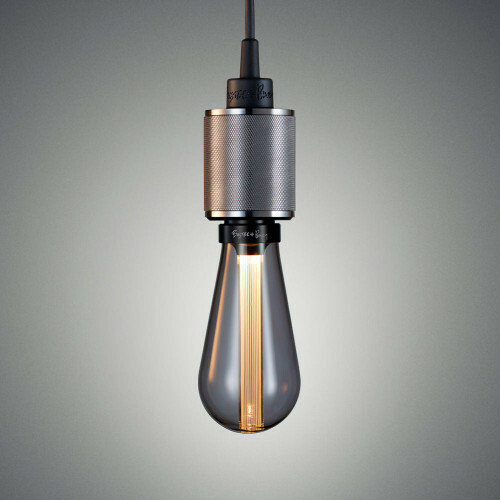 - DO NOT EXCEED MAXIMUM WATTAGE LEVEL AND BULB TYPE FOR THE CHANDELIER YOU HAVE CHOSEN. - WE DO NOT SUPPLY ANY FIXINGS/HOOKS INTO THE CEILING ABOVE THE CEILING ROSE AS THIS IS DEPENDENT ON THE MATERIAL, STRUCTURE AND INSTALLATION BY THE CUSTOMER/ELECTRICIAN.